Remote CCTV surveillance systems deliver enhanced security and peace of mind for your home or premises. We help design schemes to protect your premises from intruders with the latest CCTV technology, based on our experience in installing the latest hi-tech High Definition 5K CCTV camera systems. We have installed CCTV systems in retail units, factories, offices, leisure facilities, and warehouses. We provide a full after sales support and maintenance service. Worldnetwork is an Hikvision installer and we offer the full range of projects and schemes. Please contact us for a free CCTV system quotation. 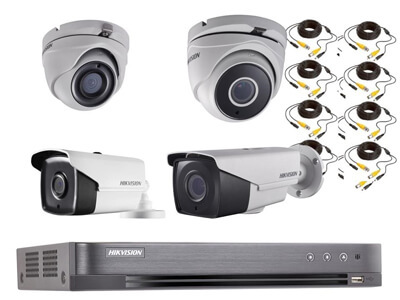 Hikvision is the leading manufacturer in CCTV equipment with a huge range of products and solutions from IP cameras, power over coax, thermal cameras, explosion proof and more. Mobile phone apps that synchronise with your system can be installed and full training given. We also offer a retro fit service where we can upgrade existing systems using existing cabling. Worldnetwork also offers door entry systems and power assisted doors in partnership with door specialists, Prosale.